Call For Entries – 2019 Uptown Art Expo Poster Contest! The 7th Annual Celebration of Art – Uptown Art Expo is returning to beautiful Cranes Roost Park at Uptown Altamonte in Altamonte Springs, Florida. We are presenting a design competition to select the official Uptown Art Expo poster for our next festival to be held on March 23-24th, 2019. The winning artist shall receive $150 cash award, a handful of posters and a booth space at the festival. Creative artists are encouraged to submit their designs. Entries should be appropriate for replication for posters, T-shirts and other Uptown Art Expo promotional items. Submission Deadline: August 15th, 2018. Submission Requirements: All entries must be a size of 11″ x 17″. 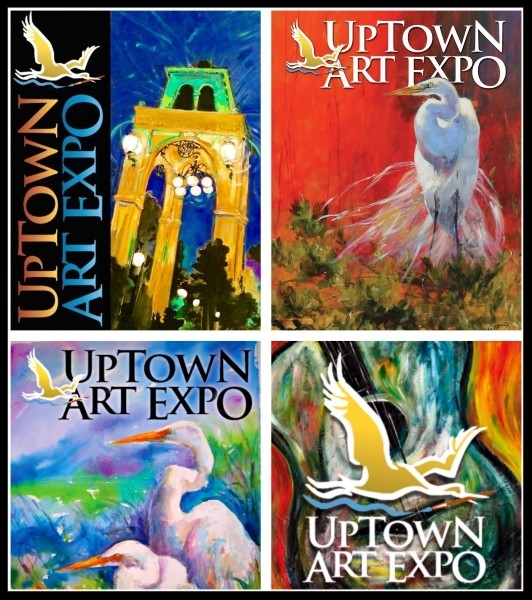 The design must be able to include the name Uptown Art Expo, Altamonte Springs, Florida and festival information. However, we do not require these elements to be included in the submission as long as they can be added if the design is selected. Each submission must be an original design that has not been reproduced previously. Designs created digitally must be available in a High-Resolution Format if selected. Each entry submitted must include the artist’s name, address, email and telephone number. Our judging criteria will include viability of sales potential, Submissions should be thematically related for a Fine Art festival. The Expo Committee reserves the right to accept or reject all work submitted during the competition. Winning entry becomes the property of Uptown Art Expo. The artist retains the copyright of the design image, but Expo reserves the right to unlimited reproduction and use of the image or parts of the image for art festival materials and products for sale.